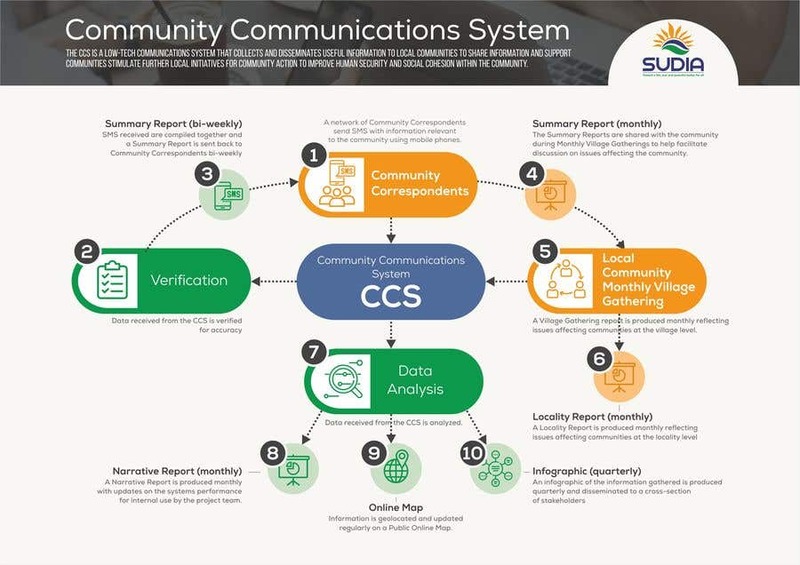 -	For the center of the design instead of it saying Community Communications System can you change it to CCS Database and have an icon of a laptop representing the system instead of the blue oval. -	The flow of data is a bit confusing in your diagram between 1 2 3 4. Can you make it more clear that the whole system first begins with the Community Correspondents Sending a SMS(1) and then it moves to (2) and then (3). The flow of data just needs to be more clear for those who don’t understand the system. Hi! Thanks for the comment. Today I will make changes to the layout!